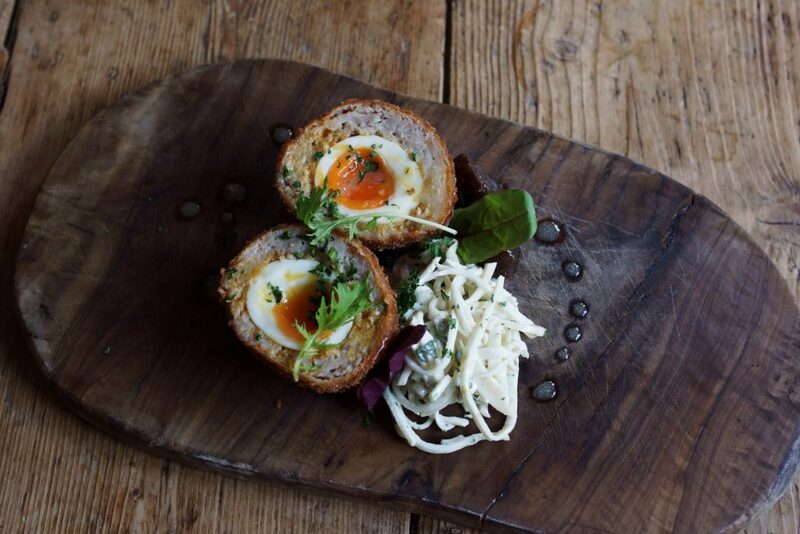 The Fat Fox Inn is located at the centre of the small market town of Watlington on the edge of the Chiltern Hills. The pub has an attractive bar set next to an inglenook fire place with a wood burning stove and a newly developed dining room which is elegantly eclectic. To the rear of the property there is a converted coaching barn which houses seven of nine letting en-suite bedrooms. 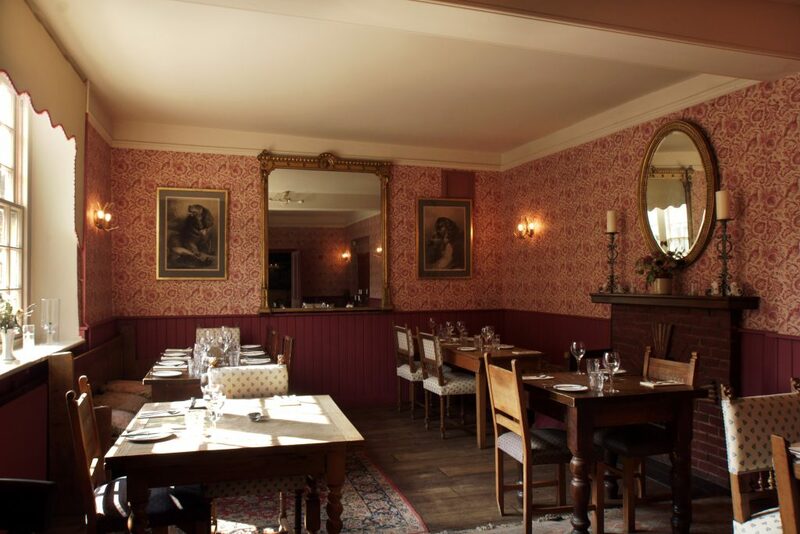 Drinks and food are served in the bar whilst the dining room is reserved for diners. The Fat Fox is an attractive, comfortable welcoming place to drink, eat and stay the night. At the bar you’ll find well-kept cask ales, interesting wines and elegant local freshly prepared food by friendly professional staff. The food here is classically British with all the inherent influences from our historical European and Common Wealth food allies. The food is simple, and yet elegantly presented using layers of flavours and textures. All of the meat, game, fruit and veg in season are purchased from local suppliers. Service at this village inn is friendly and fast! 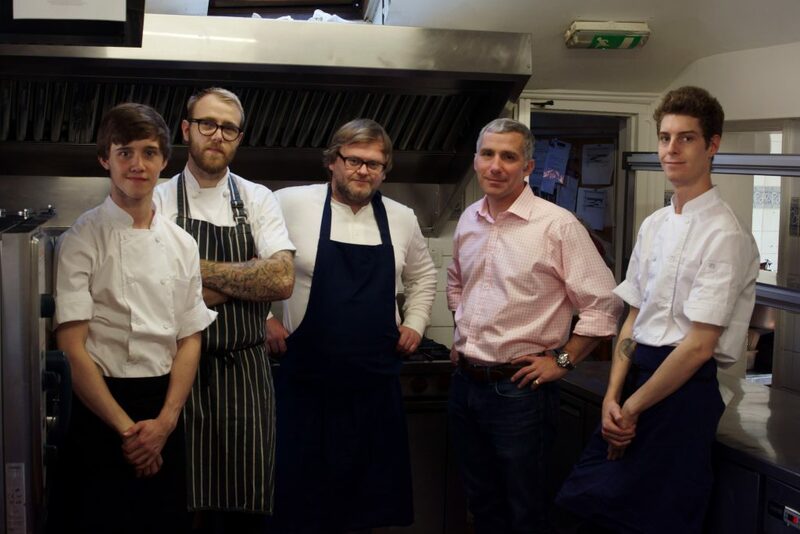 The Fat Fox run an evolving, seasonal menu which allows them to prepare the dishes from fresh, and to exploit whatever short notice opportunities their suppliers have on offer. The dishes on the menu aspire to satisfy those who like traditional pub dishes done extremely, while also including ‘fine dining’ dishes worthy of the AA rosette and Michelin Guide listing. Lastly, but never least the Fat Fox’s head chef Stewart Lennox – who has worked in many notable country house hotels as a pastry chef – has created a very indulgent pudding menu. With classics such as sticky toffee pudding and specialties such as flourless Chocolate St.Emilion on a crushed hazelnut base, everyone can leave feeling like a contented Fat Fox. To take part in our competition please answer a simple question and leave your name and email so that we can contact you to let you know if you have won. This competition closes on Sunday 18 June at midnight. Please note that the Editor’s decision is final and no cash equivalent is being offered. It would be great if you signed up to our newsletter but please do not sign up if you are not keen as we hate to spam. Tagged dinner, Fat Fox, food, Oxford, Princes Risborough, Watlington.